You may think this particular well has run dry, but Italy still has enormous untapped potential for investment in the tourism and hospitality sector. Its monuments, landscapes, historical buildings, food and fashion have made it a firm tourist favorite for years, but the economy is only just hitting its stride after years of austerity, and the tourist sector shows no sign of slowing down. Travelers to Italy have predominantly been from other EU countries and North America. Recently however Italy has seen a boom in tourists from Japan, China and Russia. Meanwhile more and more Italians are choosing to save money by holidaying at home, and enjoying the wealth of gorgeous destinations for a familiar getaway. If you are thinking of buying a house in Italy and converting it into rental property – be it a B&B, hotel, or private lodgings as an ‘affittacamere’ – we can offer you some suggestions to help you get started. First of all, you need to know that every Italian region has different regulations for individuals looking to rent. We can check all these requirements for you: simply contact us and let us know the region you are interested in. Secondly, you need to decide on the period of time you wish to rent for, and how large the property will be. There are a specific number of days you can operate your home as B&B for, and rules dictating the number of rooms you can rent out. The first thing to do is to find the property that best suits your needs. If you are opening a B&B, this will be followed by a visit to the local Town Hall (Comune) in order to officially declare your intentions to the SCIA (Segnalazione certificata di inizio attività). If you adhere to the local B&B requirements then you will not have to charge VAT to your guests, and the income produced will be taxed and declared on your personal tax return. You can also offset some expenses, but only those directly related to your B&B activity. If you exceed the allowed period of days per year that rooms can be rented for, rent more rooms than is allowed, or advertise your B&B on various websites, it is likely that you will be asked to pay additional taxes. In this case you will need to charge VAT for your services, and acquire a VAT number (Partita Iva). The same income tax rate applies, but you will also need to pay social security contributions. All expenses are fully deductible with evidence of VAT receipts. In short, your business’s tax status will be defined by the size and the set up of the structure you intend to rent. As the EU and Asian economies continue to grow and thrive, there seems to be no end to the potential benefits for Italy. Growth is predicted to rise above the US and UK, while a period of political stability is also being beckoned in, as the popularity of anti-EU parties has begun to wane. There has never been a better time to consider starting a business in the cradle of modern European civilization. 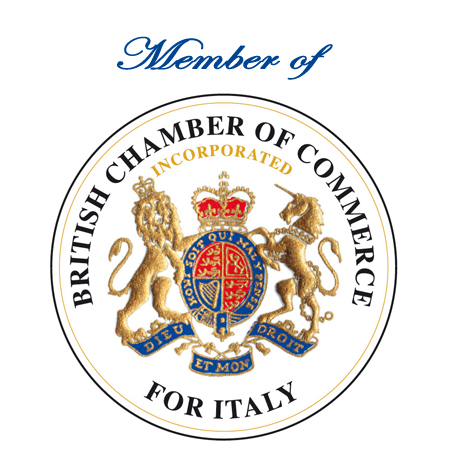 If you’d like further information don’t hesitate to contact us – we are experts in moving to Italy and starting a hospitality business, and will endeavor to help you get started.